Count on Gregory Poole Bus Service for the best service support in the business. 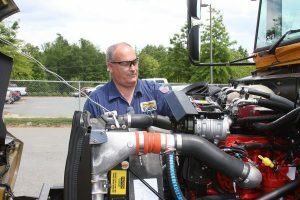 We have fully factory- trained service technicians that can work in the field, in your shop, or at one of our many locations to keep your buses running. Backed by the best dealership network in the world, Gregory Poole has been in business for over 65 years and is considered the industry leader in providing superior customer service… unparalleled product support and technical expertise!